Perfect for a night at home, for celebrations or after the game. Share and make it a party. Or eat it all yourself. We won’t tell. TO BE A KID FOR A WHILE!" 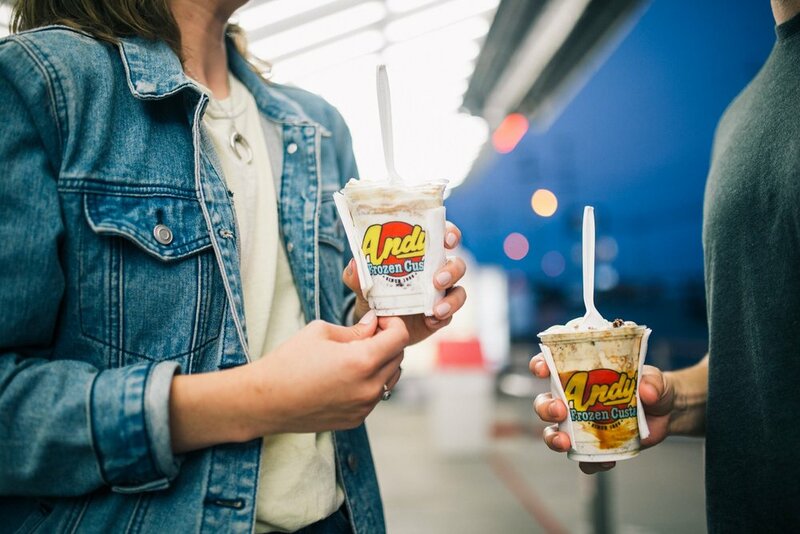 Andy's Frozen Custard is Social! Join the Yum Squad today! For every dollar spent, earn points to redeem towards a FREE TREAT on us! Already have a Yum Squad Card? Login here.